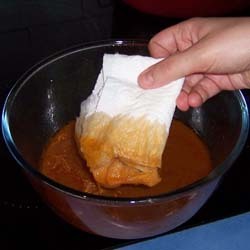 This is a technique used by chefs to remove traces of fat from hot strained stock. It is quicker than leaving the stock to chill overnight before removing the layer of solidified fat. While the stock is hot, skim a folded paper towel across its top. 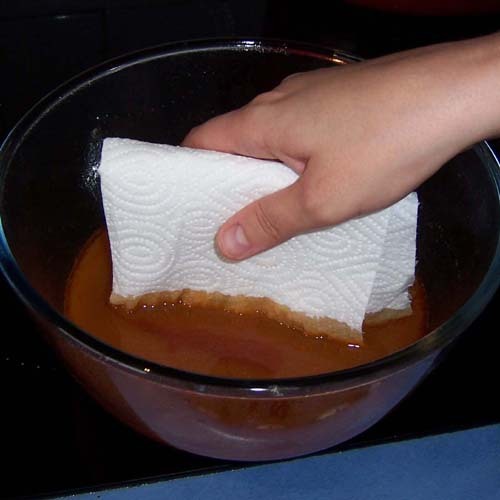 The paper towel will absorb any excess fat which can then be discarded.